Wear your cowboy hats, gear-up, and say yeehaw! Country rock superstar Travis Tritt will take you back to the scenic routes of dusty old country roads, as he embarks on his latest tour leg. Lock-in this schedule: Friday 21st June 2019 at the NYCB Theatre at Westbury. 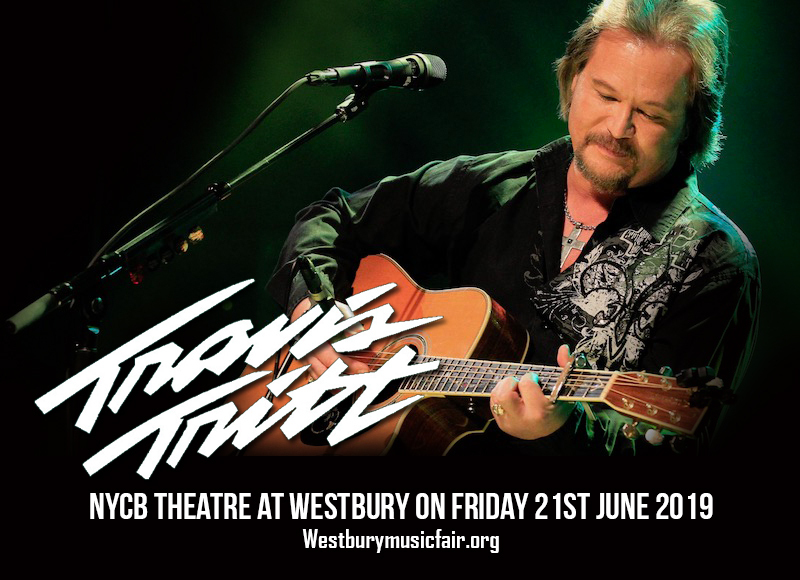 Country music fans are all hyped and on a frantic pursuit for tickets that would give them the best vantage point to witness Tritt's awe-inspiring performance. Don't miss out on this one, book your tickets now! Travis Tritt's staying power has stood not only the test of time but of ever-evolving music genre. Indeed, he is an iconic representation of classic country, but the infusion of Southern rock, blues and gospel into his sound may be that distinct flavor that sets his apart from the rest. 27 years into his career, Tritt has carved out a name for himself with 11 studio albums to date, and album sales of more than 25 million units. His recognition and citations are added feathers to his cap…or cowboy hat, in his case. In 1990. Billboard magazine named him the Top New Male Artist of the year. The Country Music Association bested him with the Horizon Award, and the CMA Awards called him twice to receive the Vocal Event of the Year Award. He is also the proud recipient of two Grammys: Best Country Collaboration with Vocals Awards for "The Whisky Ain't Workin'" (1992) and "Same Old Train" (1999). Hearing classic gems like "Help Me Hold On," "Anymore," "Can I Trust You With My Heart," "Foolish Pride" and "Best of Intentions" live and seeing Travis Tritt perform them right before your very eyes is a treat you truly deserve. Don't miss this for the world. Get your tickets now!